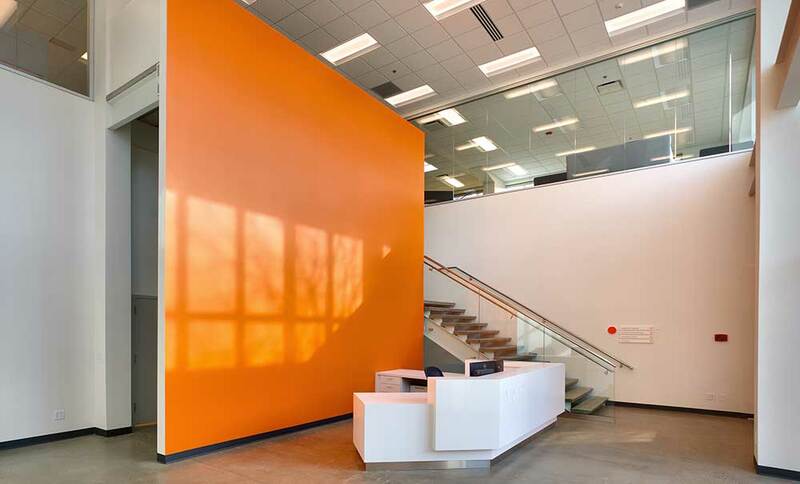 Curtis Miner Architecture has completed over 10 tenant improvement projects with Vivint. 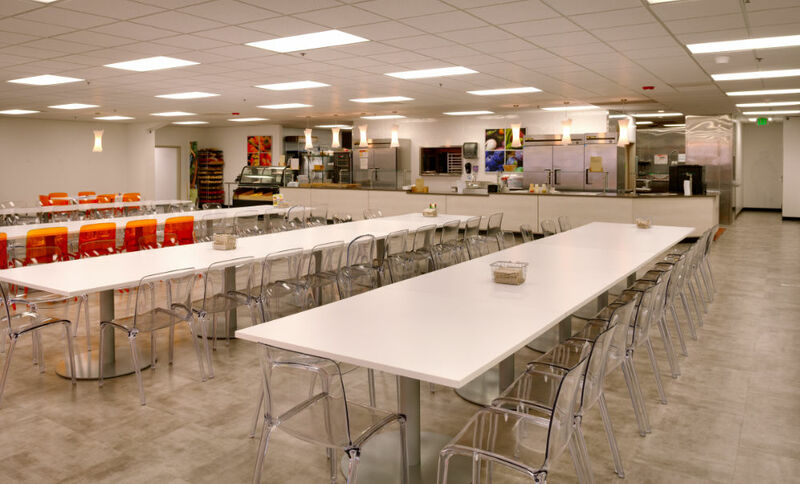 The Vivint Lindon facility is 5 buildings connected together, which consist of buildings 1.0, 1.5, 2.0, 2.5 and 3.0. 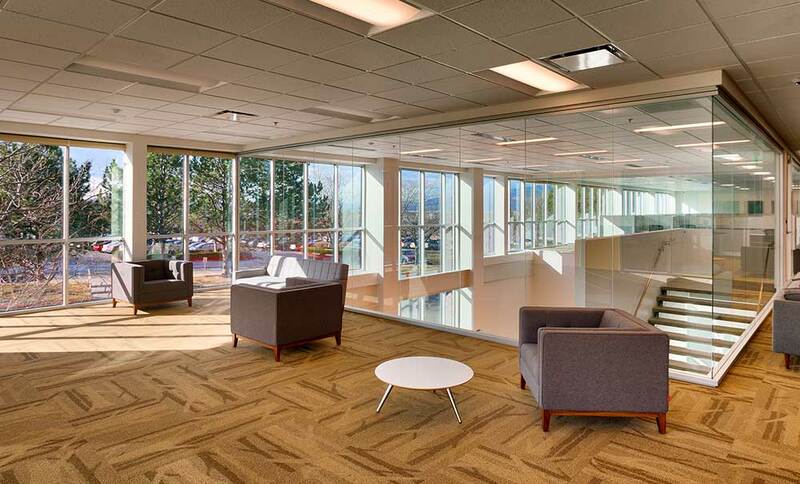 Care was given to match the Provo corporate campus appearance. The day after building 3.0 was occupied, a fire broke out between buildings 2.0 and 2.5, closing the Lindon campus for months. 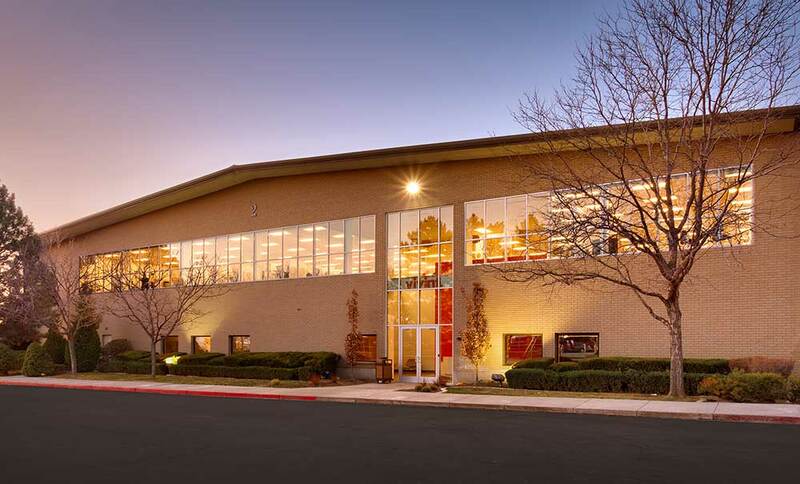 In addition to bringing these buildings back to the original state before the fire, Vivint saw an opportunity to improve the exterior entrance, the lobby and the stair egress. 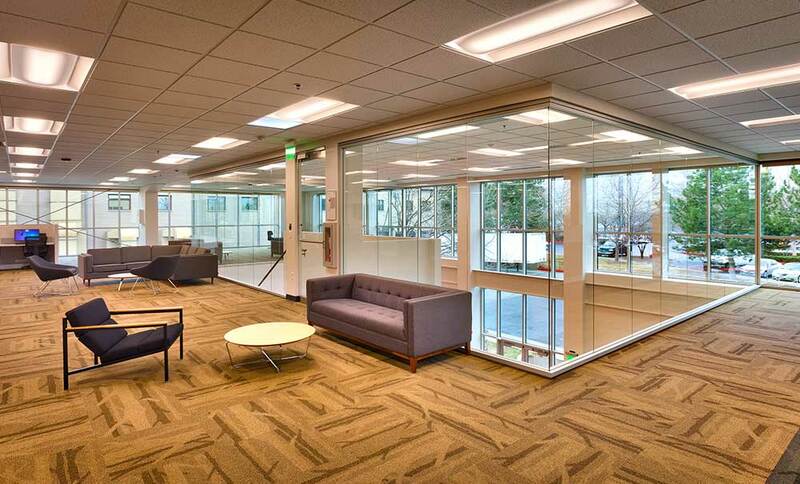 Windows from floor to ceiling were added to the second floor that looked down into the new lobby/reception, and to the exterior. 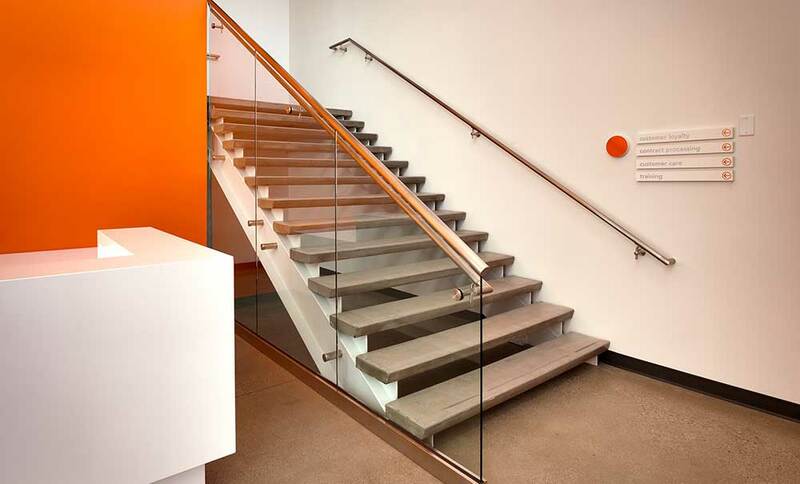 A new concrete, steel, and glass stair was added with increased width for better egress. 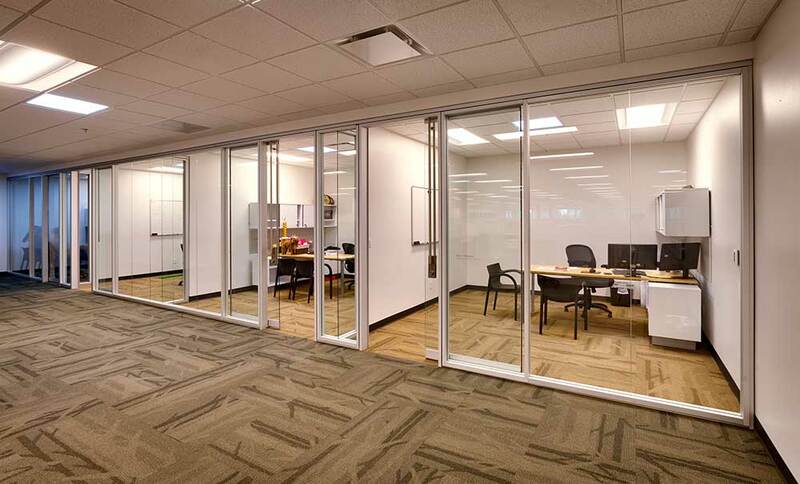 The original spaces of buildings 2.0 and 2.5 listed above were brought back with the opportunity to pull the exterior offices to the interior to allow daylight in for the open work areas and add over 60 individual 2 x 2 skylights that bring daylight to the interior of the buildings. 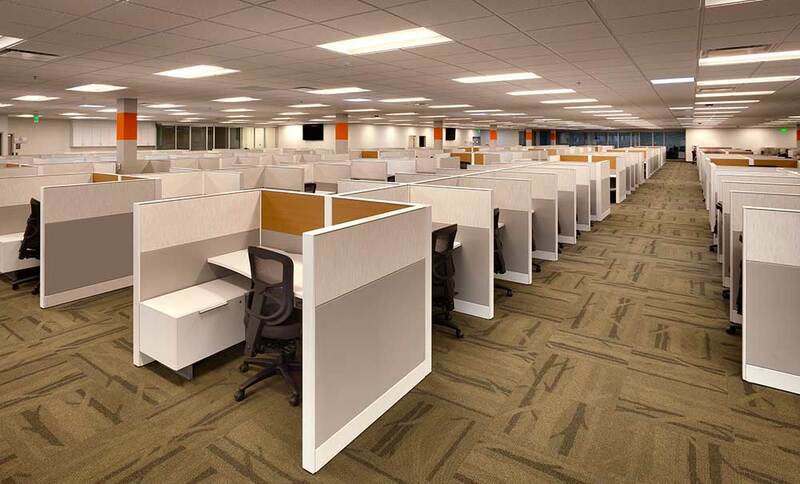 Many offices use the natural daylight as the only means to light the spaces.